Miso, Japan’s traditional seasoning made from fermenting rice, soybeans and other flavorings, sounds like a cooking ingredient too complex to prepare yourself. 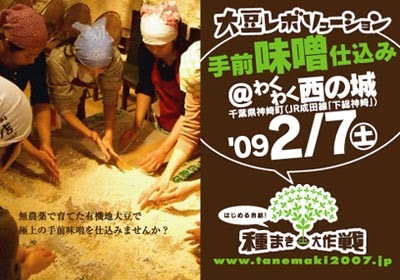 But if you’re curious, on Nov. 9 you can learn how to make miso paste at a special event at the Gender Equality Center in Tokyo’s Bunkyo Ward. 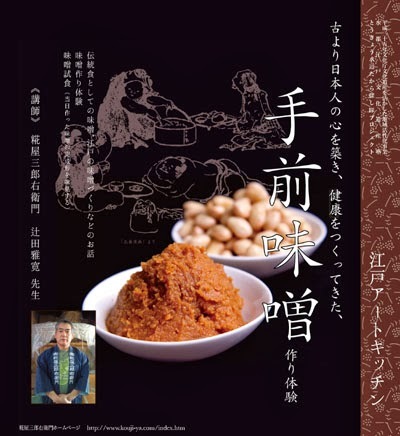 From 2 p.m. to 4:30 p.m., a master of miso-making from Kojiya Saburoemon, one of Tokyo’s oldest miso manufacturers, will offer expert instructions and advice. Kojiya takes pride in its traditional miso making and only uses domestically produced rice as well as the finest koji-mold spores. The class aims to teach participants why the seasoning tastes best when made this way, and the master will give a lecture on the history of miso, including information on its health benefits. has a number of meanings. It can be used to refer to the first person (and even the second person in some situations). 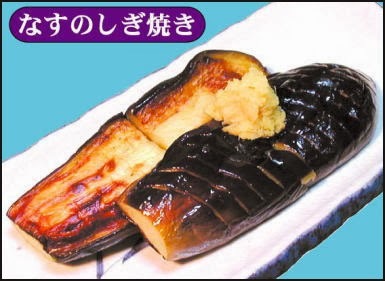 Thus, temae miso literally means my/our miso, but it actually means self-praise, because almost everyone wants to boast of the miso they make themselves.
. shigiyaki 鴫焼 grilled eggplants . 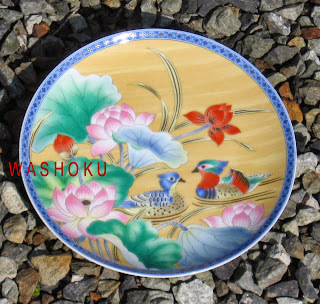 The dish is prepared in the shape of a shigi bird.
. Miso paste and soup .
. WASHOKU - GENERAL INFORMATION .
. join ! 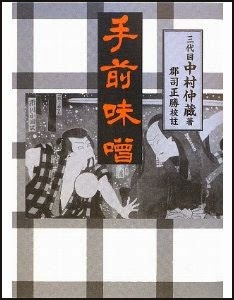 WASHOKU - facebook group .